Composed by Jay Bocook. MusicWorks Grade 4. Graduation. Score and parts. Published by Hal Leonard (HL.4002094). 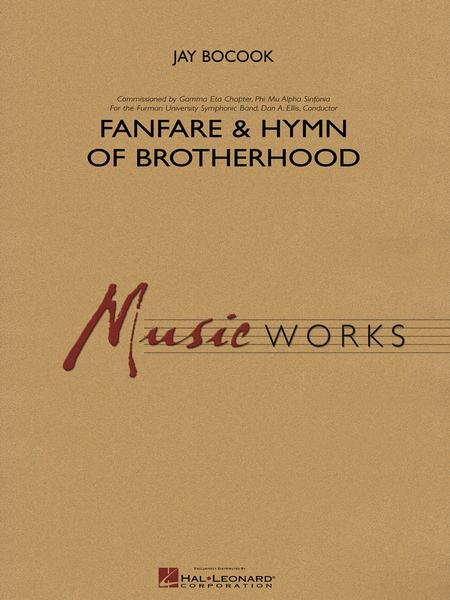 Commissioned by the Gamma Eta chapter of Phi Mu Alpha, at Furman University, Greenville, SC, this impressive work is built around two chorale themes and a recurring fanfare. After the boldly stated opening, a bright allegro developmental section becomes increasingly more intense until a dramatic cadence is reached. At this point, antiphonal brass (3 trumpets, 2 trombones) soar above the ensemble and play a grandiose version of the first chorale. The band re-enters and both ensembles play the climactic ending to the work, in a new key, and with both hymns being heard simultaneously. Marvelous work! (6:00).